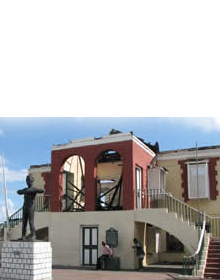 Fort George is situated on the Titchfield Peninsula in the town of Port Antonio which is located in the parish of Portland. The idea for a fort in Port Antonio was born in 1728-29, when a committee of the House of Assembly met to consider measures to be taken in the face of a possible Spanish invasion. In 1728, Christian Lilly was assigned the task of building a fort which after being built became known as Fort George. The fort served a dual purpose, firstly as a source of defence against foreign invasion, and secondly to deal with the menace of the maroons in the area. 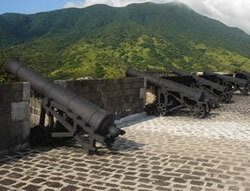 The fort which was built to hold 22 guns and several George III cannons, has walls ten feet thick. 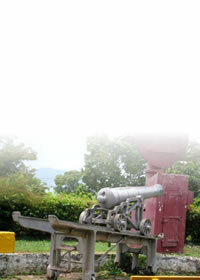 The fort was used during World War I. 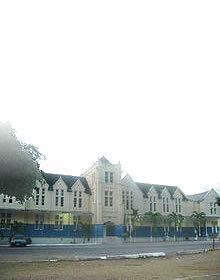 The barracks of the fort now houses classrooms for the Titchfield High School.